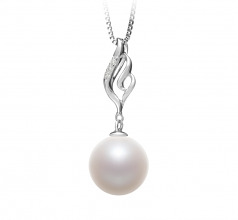 A shining silver flame-adorned with three clear CZ stones, support a white freshwater, round pearl. 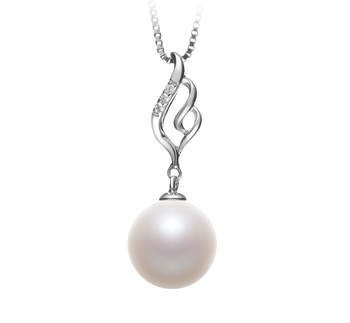 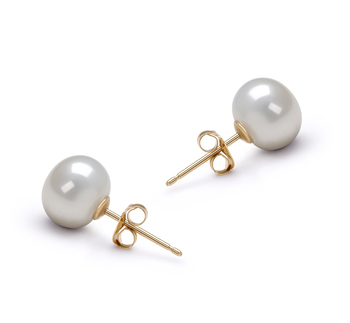 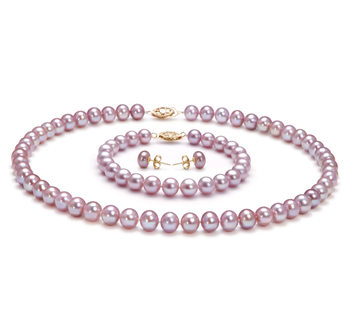 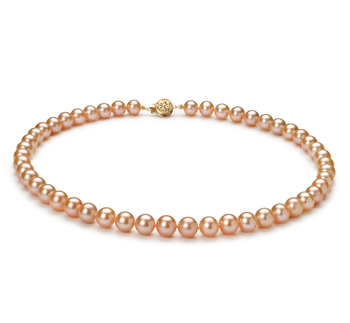 This amazing piece delivers some of the highest quality in freshwater pearls with an AAAA rating and boasts a generous 10-11mm size. The Loretta pendant is an adorable item with a whimsical style that has smooth rounded curves for mesmerizing fun. 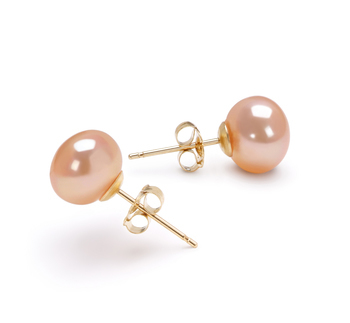 Gorgeous colored rainbows glide across the unblemished surface that flawlessly blends with every outfit color. 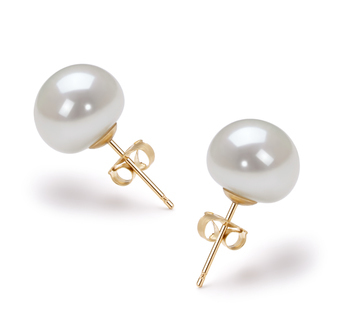 Loretta, with its chic style, makes the perfect gift for a young teen or early twenty-something lady and goes from casual to dressy with ease. 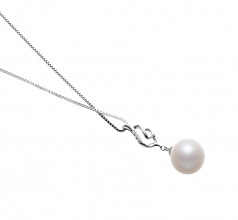 No matter the age, the Loretta pendant makes a fabulous birthday, anniversary or an I love you gift and gives the wearer a trendsetting style that puts them in the spotlight.